Richard Irwin (Belper, United Kingdom) on 30 April 2008 in Plant & Nature and Portfolio. The tulips here are in my next door neigbours garden, so I can't claim green fingers for growing them, but I do appreciate the show of colour every spring. Again the light, texture, dof and colours are wonderful Richard. A lovely spring image. Beautiful. :) I love the colors and dof. and what beautiful colors they are!!! 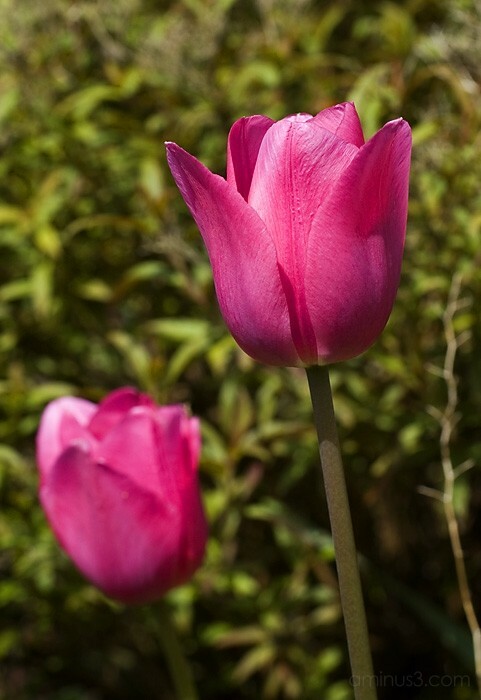 Love the beautiful color of these tulips! Very nice shot. Excellent example of the Tulip. Love the light and dof, Richard!! Gorgeous gorgeous! !